The Auschwitz Institute for Peace and Reconciliation marks the occasion of Sunday, August 30, 2015, the International Day of the Victims of Enforced Disappearances. Enabled by a persistent culture of impunity, “enforced” or “involuntary” disappearances continue in countries across the world in clear contravention of international law. [The practice of Enforced Disappearance] places people outside the protection of the law, and thus potentially in great danger of physical violence and sometimes barbaric execution. In addition to causing unimaginable worry and anguish for the victims and their loved ones, this creates a generalized climate of fear and terror across entire societies. On December 20, 2010, the United Nations General Assembly produced Resolution 65/209, which highlighted the adoption of the International Convention for the Protection of All Persons from Enforced Disappearance and established August 30 as the International Day of the Victims of Enforced Disappearances, which was first observed in 2011.The Convention boasts 94 signatories and 50 state parties at present moment. The United Nations houses the Committee on Enforced Disappearances, a treaty-based organization which operates with the support of the Office of the High Commissioner for Human Rights in order to ensure progressive implementation of the Convention for the Protection of All Persons from Enforced Disappearances. The latest annual report of the Committee is available here. The UN also provides for the Working Group on Enforced or Involuntary Disappearances. 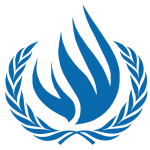 The Working Group’s mandate has been renewed annually by the Human Rights Council since 1980, when it became the first United Nations human rights thematic mechanism to be established with a universal mandate. This mandate outlines the Working Group’s primary tasks: assisting families in determining the fate or whereabouts of their family members who are reportedly disappeared as well as monitoring the progress of states in fulfilling their obligations deriving from the Declaration on the Protection of all Persons from Enforced Disappearances and providing assistance to governments in its implementation. The Working Group’s most recent report is available here. Enforced disappearances, while certainly traumatic for the families and friends of the disappeared, are collective social traumas that fragment societies and increase the risk for genocide and atrocity crimes. Over time, the unresolved fates of the disappeared deepen social cleavages and mistrust of state institutions. For AIPR, the nexus between enforced disappearances and the necessity of our work in genocide prevention is clear. AIPR urges all countries to ratify and implement the International Convention for the Protection of All Persons from Enforced Disappearance and to continue building durable international norms and agreements that work to prevent enforced disappearances.